My name is Charles (Charlie) Davis and I lived in Box with my parents Roy and Gladys Davis from 1959 to 1973. My father, Royston C Davis, was born in 1912 and worked as a carpenter joiner in 1939, when he and Gladys lived at 5 Victoria Buildings, Bath. We came to Box from Bath in 1959 when I was 10 years old and lived in Dr Strode's old house at 1 Kingston Villas, London Road. We were all involved in the Parish Church with the vicar at that time Rev Thomas Selwyn Smith (Tom). My father and I were servers and my mother was in the Mothers Union and was involved with doing the teas and other matters at church social events. We all spent many happy times at these events. My father made three large wooden candlesticks for the church – one for the Paschal Candle (at Easter) and two others for processions. I presume they are still there. Rev Tom was a fierce opponent of disrespect and violence. On the fiftieth anniversary of the First World War in 1968 he wrote in the Parish Magazine: Those younger may wonder why we old squares are so disapproving of disturbance, violence, cruelty, bullying, unkindness in any form. The fact is we have seen so much of it that those of us who have lived over fifty years want only to see peace and happiness, kindliness and gentleness abound. He lived his life according to those principles. The Church has fond memories for me, including the times I served at Holy Communion with Tom Selwyn Smith on cold Boxing Day mornings (St Stephen's day) at 8am when the only congregation was me. Tom was a very, very kind and sincere man/priest but an awful preacher. All the congregation knew it but we had respect for him. 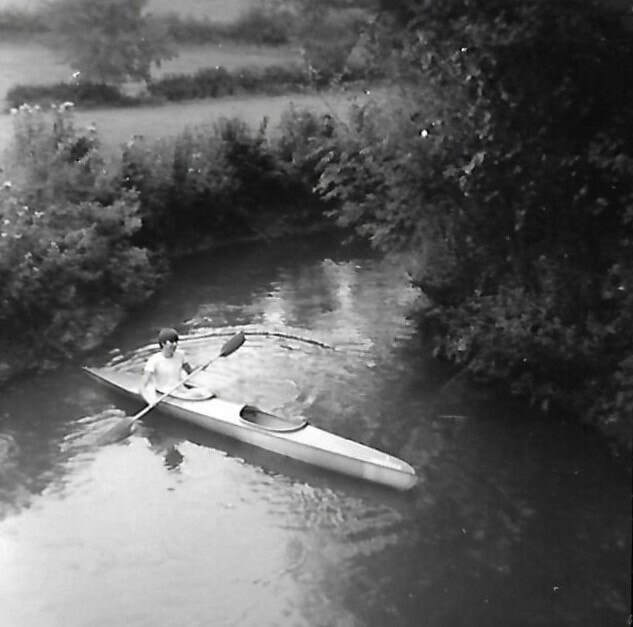 I went to Box School and then onto Shurnhold Secondary Modern School, Melksham. I left Box in the early 1970’s because of work in the National Health Service and eventually ended up living in West Lancashire and Birkdale, Southport, Merseyside. However my parents continued to live in Box until their deaths . They are buried in Box cemetery. Whilst living in Box I was very much involved with the local football teams including Box Youth and Box Rovers where I performed the role as the goalkeeper. I attach a photo of the Box Youth Football team from the late 1960s which may be of interest. I’m the goalkeeper! I also played for the cricket club with friends such as Graham Cogswell,. Roger Rebbeck, Andrew Kerr, David Hill and of course our captain Alec Cogswell (who was also the Scout Leader and the recreation field groundsman). Scouting was also big in all our lives and we all enjoyed many happy camps away in the Channel Islands (World Cup year) or in the New Forest or Devon. 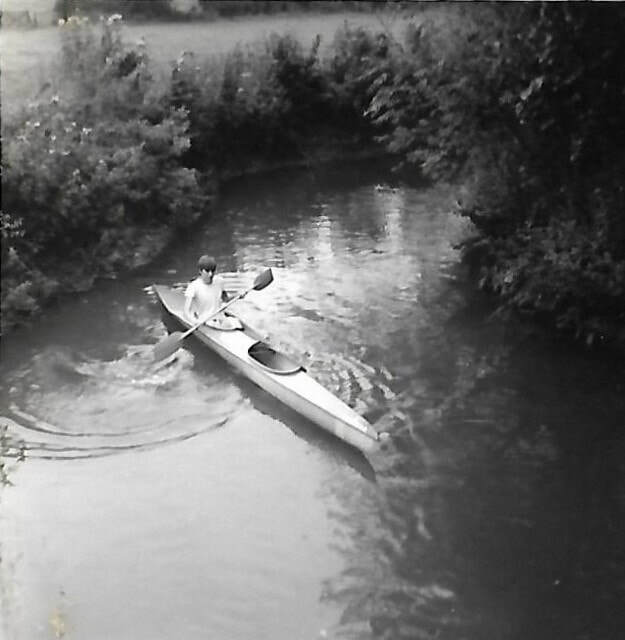 One happy memory was moving an entire scout camp up the hill in the middle of the night because the river had burst its banks. 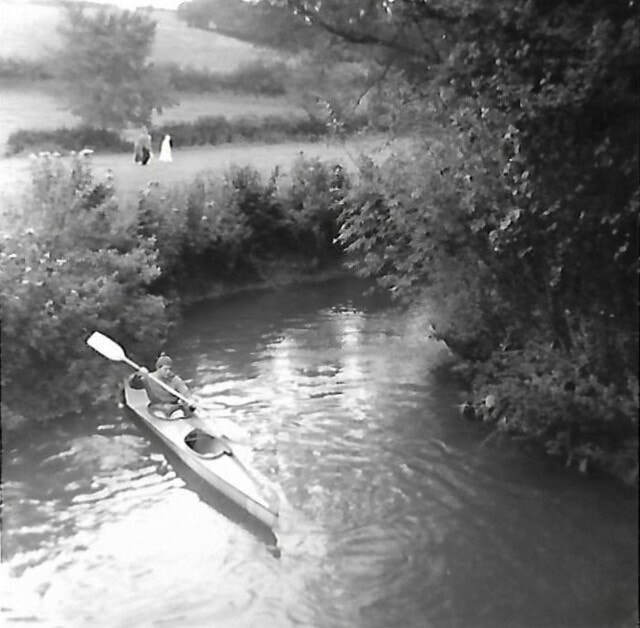 The launch of the canoe that the scouts used in the Devizes to Westminster canoe race. Royston Cecil Davis (8 January 1912 - 1996) married Gladys E (b 28 January 1910).